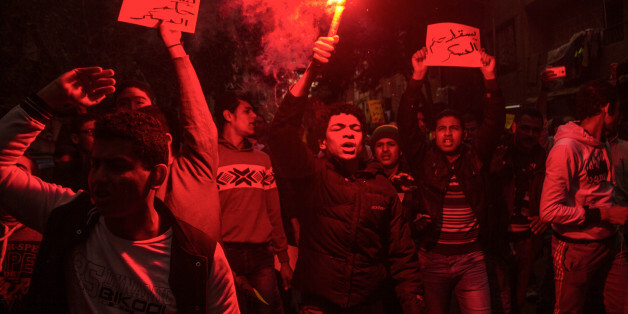 CAIRO -- I do not want to say that I have become indifferent, disinterested or disappointed, but after having been asked to write about the so-called Arab Spring, I felt uncomfortable. It was as if my comfort zone would only allow me to keep silent, watching what was going on without even trying to be part of it -- not to say internally recalling what happened during those years. Five years ago, on Jan. 28, 2011 to be precise, something inside me changed. It was as if a lamp had been lit. I witnessed a certain reality, and ever since, my whole life has transformed. At that time I was 23. I knew nothing about politics, but I was quite sure that something wrong was happening. There seemed to be an unlimited number of homeless people and innumerable slums. Descent and withdrawal seemed present in everything -- except in prices that had been rising horribly. Egyptians were upset and waiting for the, let's say, spark, or the right time to move on. I knew nothing about politics, but I was quite sure that something wrong was happening. On the night of Jan. 25, 2011, I was in my bedroom when I suddenly heard my family shouting. They were reacting to what had happened, reacting to the relentless hitting and beating of protesters gathered in Tahrir Square. Families were taken into custody and were treated so bad. I stood motionless, full of fury, simply saying: "These people demand nothing but their freedom. They demand lawful rights." I spent the night thinking about the way out of the darkness in which we were living. At that time, so many rumors were spread to frighten those who wanted to go out and protest. I felt nauseous as I listened to the carefully tailored words spewing from the national channels. They were humiliating the protesters, prostrating to the regime and the pharaoh leading it. Crucial to the motivation of youth to go out on "Jum'at al-Ghadab," the "Friday of Anger," just three days after the 25th, was the information rapidly disseminated through social media channels. One was a video that so far we can still watch on YouTube of an amazingly bold man who bravely stood in front of an armored vehicle as it sprayed water towards the demonstrators. As I watched it, I called out to my dad: "Do you see?! That man has broken the fear barrier." I dreamt of being as courageous as he was. On that promising Friday, I went to pray the weekly and most important prayer in a somewhat faraway mosque with a liberal imam. By that I mean, he would not have been affiliated with the authorities -- a regime vassal. I had told Mum that I would have people around me if anything happened. "Do not worry about me, it's time, Mum," I had said. After the prayer, we saw an enormous demonstration heading to the beginning of al-Haram Street, where I prayed. Thousands of protesters chanted these three words, together, one after the other: Bread, freedom and human dignity. It was an amazingly indescribable scene. It was the first time in my whole life to see something like this. I had goosebumps all over my body. I had tears falling down from my eyes. And I joined them. We were increasing gradually in number until we seemed to reach the horizon. There was no media coverage that day because the government had cut Internet and communication connections. Therefore, we were totally isolated from our families. We kept walking, heading to Tahrir Square. We encountered three police ambushes. The first one was too intelligent. The leader let us pass through without fights; he was able to see that a great number of angry and insistent people were ready to take off both his own head and those of his companions. The second and third entered in strong fights. They kept throwing tear gas grenades towards us and we replied with rocks and stones. It was reminiscent of a classic scene of our Palestinian brothers during their upheavals against the Israeli occupation. It was the first time in my whole life to see something like this. I had goosebumps all over my body. I had tears falling down from my eyes. And I joined them. We won all the battles until we came beside that beautiful house of the Giza governor, where I saw something that I can never forget. Inside a big blue truck about 20 soldiers were trapped, crying and asking for our forgiveness. People were jumping over the vehicle frightening them in an incredible way. I approached the soldiers and told them gently: "Do not get out, they will kill you." One of them replied, panting: "We can get out and join you." I said: "Do not, please!" I said so because literate and illiterate people participated in these demonstrations. Some wanted to avenge the injustice and oppression they had suffered in their own ways; others were trying to win the battle against the government in order to change our country in a revolutionary but, at the same time, reasonable way. I walked for a long time -- hours -- without money, isolated from my family. I ate nothing until then. I was really down. I can remember that feeling, especially after having breathed terrible tear gas continuously. I joined the other protesters, coming from the eastern part of Cairo, in the opera area, where I witnessed one of the most violent clashes. Just in front of the opera house, a few kilometers away from our destination, we were met with what felt like an infinite number of tear gas grenades along with random shots from riot shotguns. I was about to die, I thought, because I was in the front lines. With my own eyes, I witnessed a protester get a shot to the head. "I will die," he said. I kept saying to him, "No you will not, do not panic!" To my right, I saw a girl suffering. She was bleeding from her leg. I was speechless when a grenade exploded under my own leg. I got sick, lost consciousness for a while and got up again, thanks to first aid by some wonderful girls. I said to myself: Hey pal, we have in Egypt brilliant, helpful and good girls, unlike what the extremists had been telling us. The girls asked me to calm down and to take a break. 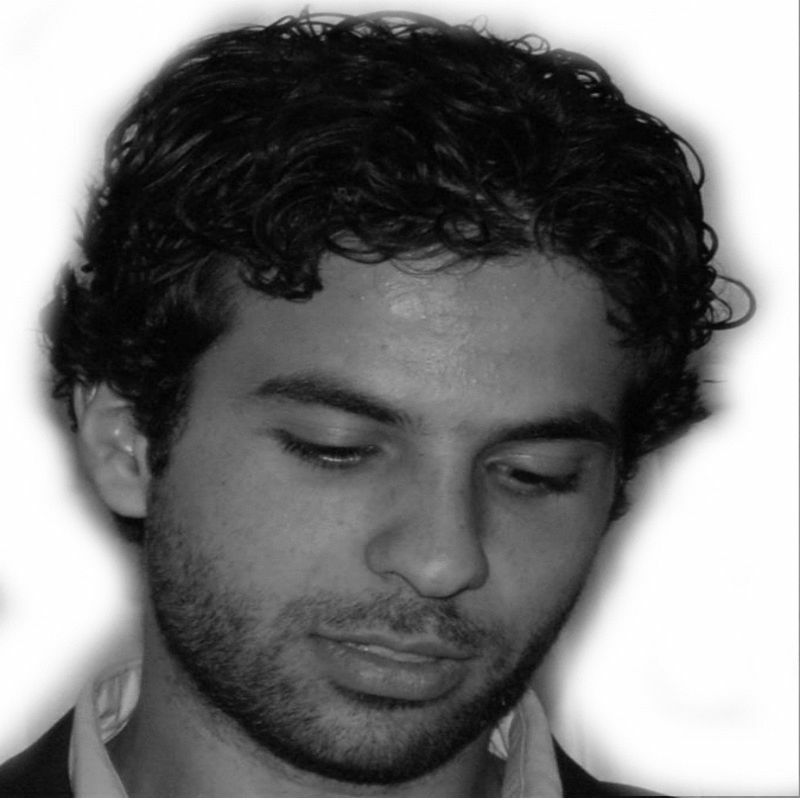 I refused and kept fighting until we won and entered the area of Midan al-Tahrir. It was night when I really heard my comrades cheering. It had been so silent until then. I thought it was really that quiet before the storm. I saw a bunch of police trucks coming from the distance, at an insane speed, in such a way that they hit a protester who was just next to me. I saw with my own eyes the protesters sacking and looting the headquarters of al-Hizb al-Watani, the Mubarak political party, which was one of the most corrupt authorities in Egypt. I had not eaten anything. I found, by the grace of God, somebody I knew, and he gave me change so I bought a biscuit. I decided to get back home. I had to walk many miles to take a bus. I was shaking from weakness. I saw trucks burning before my eyes, officers running away. Funny enough, in the bus I took to go back home, I found some guys with guns and grenades. They were like trophies for them. We are living through the worst moments Egypt has ever lived. In the subsequent days, I would frequent Tahrir Square. Every day, I told myself that I would not come back alive, but I was fine with that. Something inside me had changed. I was ready to fight for principles and die to let my people live. I had hung on my bedroom wall the photos of those young men and women who had died and received the title of "The roses which flourished in Egypt's gardens." I had a dream like any other Egyptian. I lived through the unforgettable moment when Mubarak was obliged to cede the throne. I was waiting for a new Egypt, for a different future to come. I also lived and witnessed Jul. 3, 2013, when all my dreams were getting killed. I witnessed that coup d'état giving back the wheel to the corrupters. Now, the situation is quite complicated. We are living through the worst moments Egypt has ever lived. A hell after a paradise. Yet even in this complex reality, we still have hope. <em>Tunisians gather at Habib Bourguiba avenue in Tunis to celebrate the one year anniversary of the revolution, Saturday, Jan. 14, 2012. </em>(AP Photo/Amine Landoulsi)<br><br> The first Arab country to throw off its ruler, Zine El Abidine Ben Ali, in January 2011, Tunisia has also had the smoothest transition. 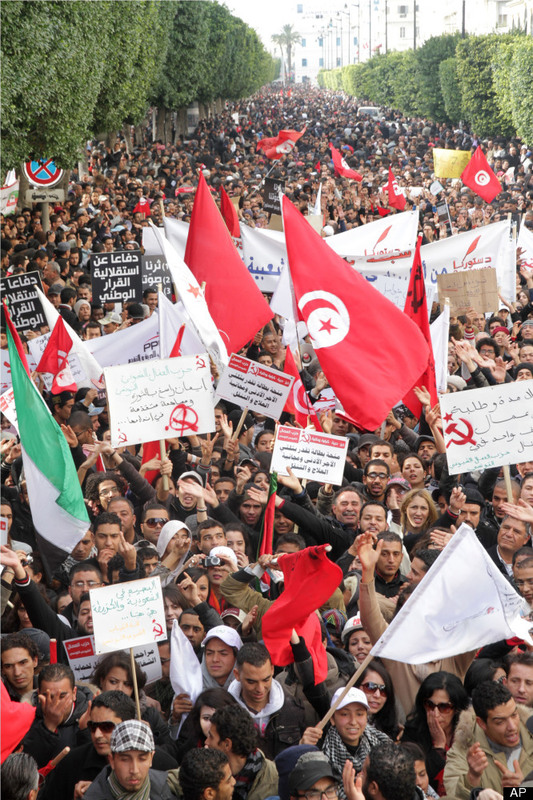 Elections in October resulted in an interim coalition led by the election-winning Islamist Ennahda Party in a coalition with two liberal parties. Ennahda has taken a moderate track in this country that has a strong secular heritage, refraining from seeking to base the new constitution on Islamic law. But secular Tunisians worry that ultraconservative Islamists known as Salafis have grown more assertive.